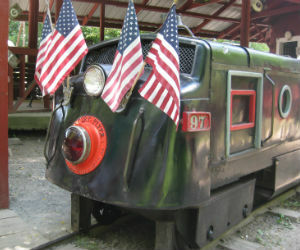 New Jersey has a host of narrow gauge railroads to explore and a handful of train excursion rides. We have been touring the State of New Jersey for fun activities including train rides, train excursions and model railroading. This year we have already visited four places so far which have Narrow gauge railroads and they are The Land of Make Believe, Northlandz, and Wild West City. The Land of Make Believe is located in Hope New Jersey directly off of Route 80 and a few miles on Route 611. This is a family style amusement park which is geared for children of the ages of 12 and under, so this is the perfect family water and amusement place to visit with small children. But the best part for narrow gauge railroad fans is the Civil War Locomotive train ride! There is a fantastic train ride which circles the entire park which provides views of all the different aspects of the park and naturally beauty mountain scenery of the surrounding area. 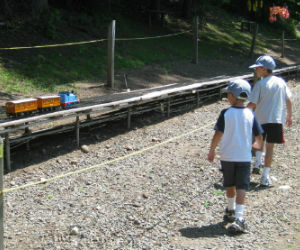 Northlandz train ride is located in Flemington New Jersey directly on U. S. 202. This is a must see for model railroad fans and train lovers. They are famous and are featured in the Guinness Book of World Records because they have the largest model railroad in the world with over 8 miles of railroad tracks! 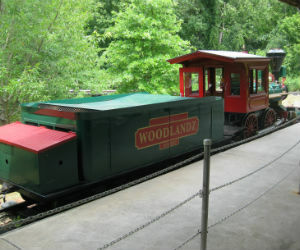 But there is a treasure; they also have a beautiful narrow gauge engine found in the Woodlandz Railroad and this is a pleasant train ride around the back of the museum. Wild West City is located in Netcong New Jersey directly off of Route 80 and a few miles off of Route 206 North. They are famous because they are a unique family theme park specializing in the Old West. So this is formally considered a Western Heritage Theme Park which recreates life in the 1880’s as it may have been in Dodge City, Kansas. Wild West City has a great narrow gauge train ride about a mile long directly through the Forrest but you may be held up by desperadoes looking for gold and silver in the Wild West City Forrest, so be on the alert! 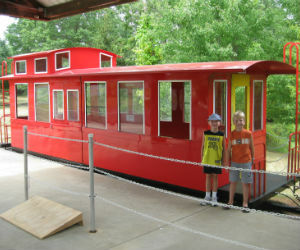 The Whippany Railway Museum is located in Whippany New Jersey directly on Route 10. 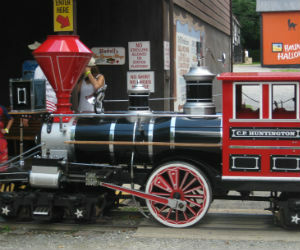 This is one of a handful of Railway Museum’s located in the state of New Jersey. The railway museum show cases a collection of unique restored locomotives and vintage cabooses which were in service in the Metropolitan area including NJ. 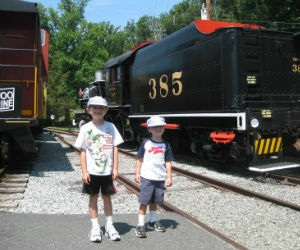 Charles and Adam loved visiting the Whippany Railway Museum because the train ride was almost one hour long! And they have an outdoor working model railroad and you guessed it, they have Thomas the train with Annie and Clarabel.